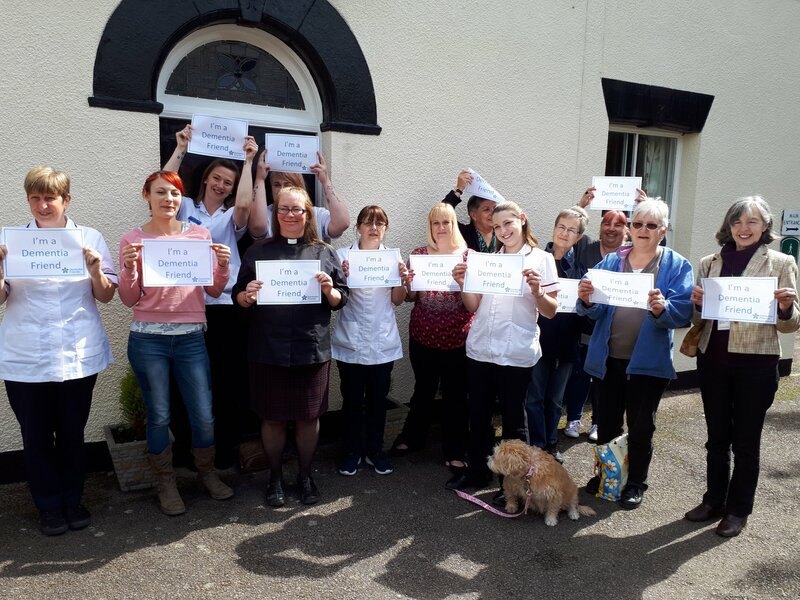 Broadland House staff were joined this morning by Debbie Hamilton-Grey Rector of Potter Heigham Church & a few of her parishioners to learn how to be a dementia friend. Over coffee & cake Alex Hollyman took everyone through a session to learn more about dementia and how we can all help to create dementia friendly communities. A Dementia Friend learns a little bit more about what it’s like to live with dementia and then turns that understanding into action. Everyone with their certificates & with Sandy the home’s dog not missing out!